I was wondering if you could give me an example of a good termination policy. I’ve read policies before that state they reserve the right to terminate your employment for no reason. Would you consider this professional and/or acceptable for a salon policy and procedure manual? I feel termination has to be a part of any salon/policy manual. I think “any” reason is acceptable; I would not use the term “no” reason. I have included a clause on discipline policies, problem resolutions, violation of company policy, and finally termination. You need to be clear on your state’s policies on termination. In California we have strict laws that would require disciplinary action to be taken and documented before you can terminate an employee. 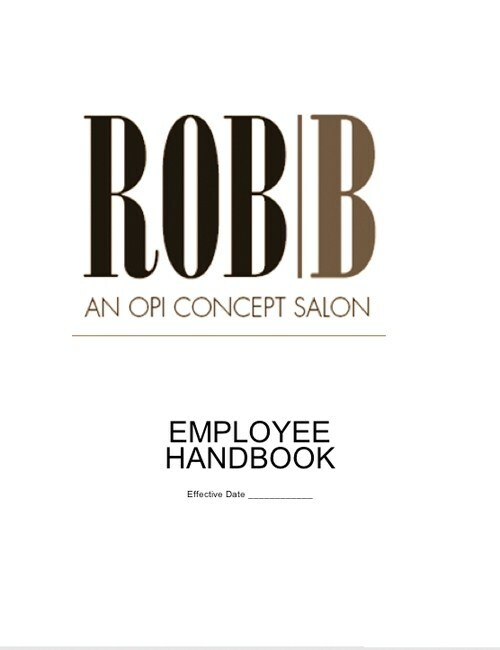 “The employee of Rob|b Salon may choose to terminate employment at any time. Employees choosing to terminate their employment with Rob|b Salon are required to return all company property to management before leaving the premises on their final day of employment. Upon receipt of all company-owned property, the employee will receive their final paycheck. “Rob|b Salon may terminate employment at any time for any reason. Termination will be done in accordance with all state guidelines. If you want to ask your own question, use the Ask Robbie link in the righthand column. Your question will be answered via the blog.